I've been accused plenty of times in the past of being simple! So what better way to start than with a really simple post about how to play Omaha poker. Why Omaha? Because I think that most people know the how to play Texas Hold'em (though if you don't drop a comment and I'll explain) and from what I've seen Omaha is right up there amongst the other most played games online, yet up until a couple of weeks ago I'll admit I didn't know how to play it! I'm quite new to online poker (I've done my fair share of real games) but I noticed there were a few Omaha freerolls going a begging. The wife plays a lot so I asked her to explain. If you've ever been too afraid to ask how to play Omaha poker then this post is just for you! The game starts a lot like Texas Hold 'Em with the same blind scenario. It's from the deal that you'll notice the first difference, instead of players being dealt two cards face down you'll receive four "hole" cards. When all of the players receive their four hole cards, betting will begin. You can then bet if you think two of your four cards will make a hand with three of the five community cards that will be placed on the board in the next few rounds. After the first round of betting three cards (flop) are placed face up as a community cards - just like Texas Hold'em. Now look at what you have in your hand in addition to those three community cards. Remember, you can only use two cards from your 4. Another round of betting will take place. Then the fourth community card is placed, this starts another round of betting. The last card placed, known as the river card will tell you what you have. You must use two of your cards and three of the community cards to make your hand. If you have three aces in your hand and one is on the board, you still only have three aces. Like all the other types of poker you will see various types of game. Another variation you'll likely see on some poker websites is Omaha hi-lo, which is a lot trickier. Just think of it as having two winning pots every hand. 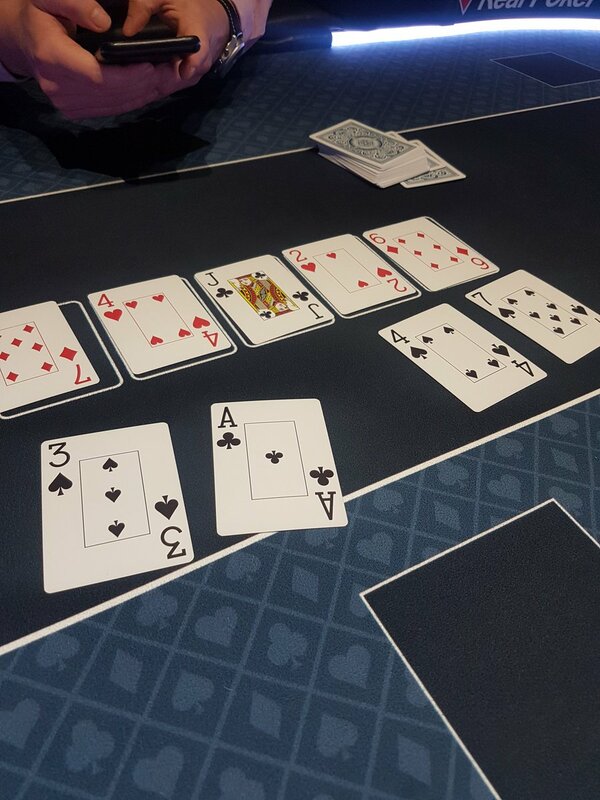 (One pot for the high hand and one pot for a low hand, which is divided into two from actual pot amount) This will allow two different winners on the same hand. A lo hand uses the cards 8, 7, 6, 5, 4, 3, 2 and ace. The object is to get the lowest five cards possible. The best lo hand is known as a wheel and it is 5, 4, 3, 2, A. Straights and flushes do not count against a hand. If you're the sort of player who likes to stick to what you know, and I'll guess that's Texas Hold'em then Omaha might seem a little strange at first. On the other hand it's good to have a few strings to your bow, especially if you intend on taking as much advantage of any freerolls as possible. Going From Limit To No-Limit, What To Raise? I myself used to be a terrible omaha player. There are so many drawing hands, to me it was hard to see where I was in the hand, whats a good bet to get “chasers” out but keep dominated hands in, etc.